Here is another of my Estate Brigham refurbs. 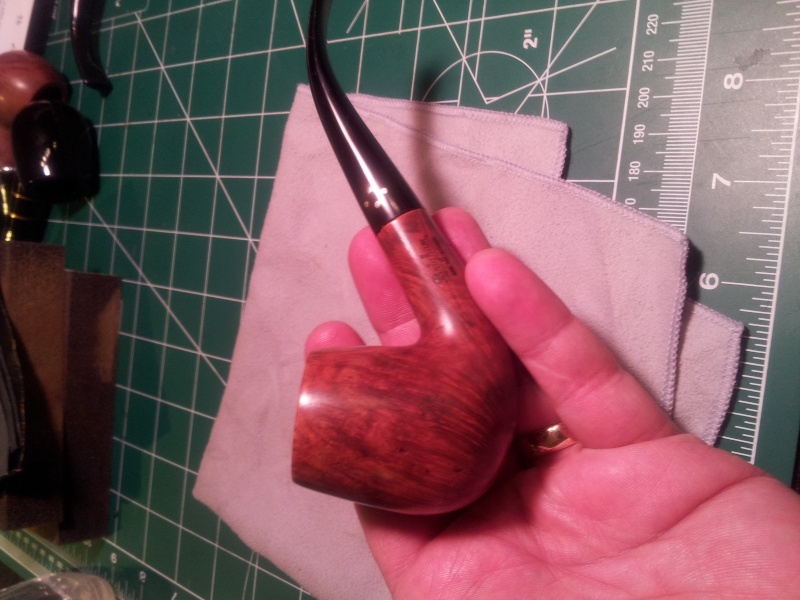 This one is a Brigham 4-Dot full bent. 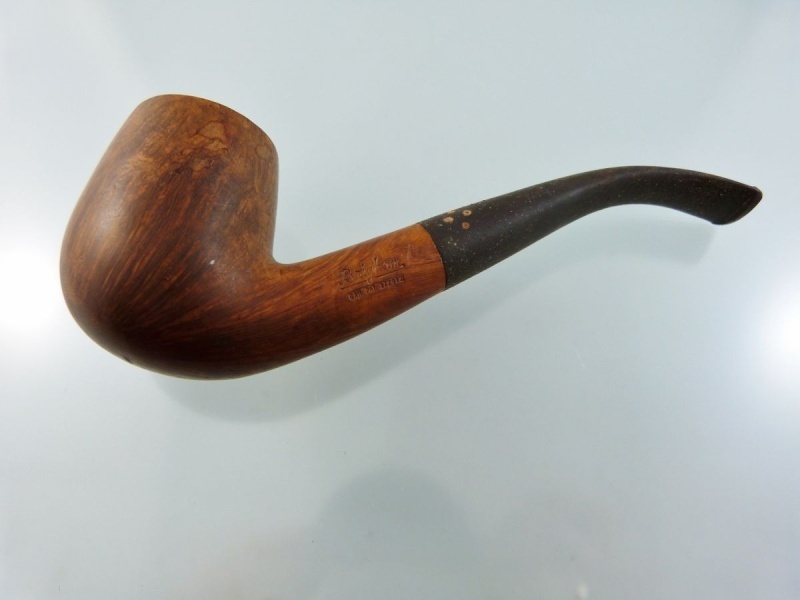 There is no shape number stamped in this one, but judging from the Brigham shape charts and size, it’s likely a 424 (ie a 400-series/4-dot pipe in the 24 shape). 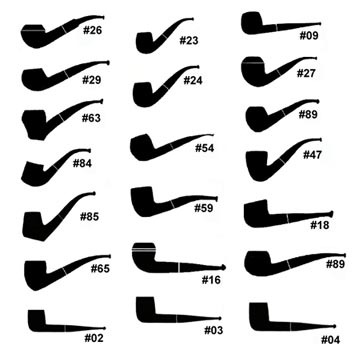 Below is the Classic Shapes chart from the Brigham site. You’ll see shapes 23 and 24 are nearly identical except for physical size. The only stamping on the pipe is the “Brigham” script logo over “Made in Canada” in block letters. This places its year of production as somewhere in the 1970’s. A pic from the ebay listing – I think the seller took these with an eye to reducing the cosmetic horror show that was the pipe stem. The poor thing had been neglected for quite some time. 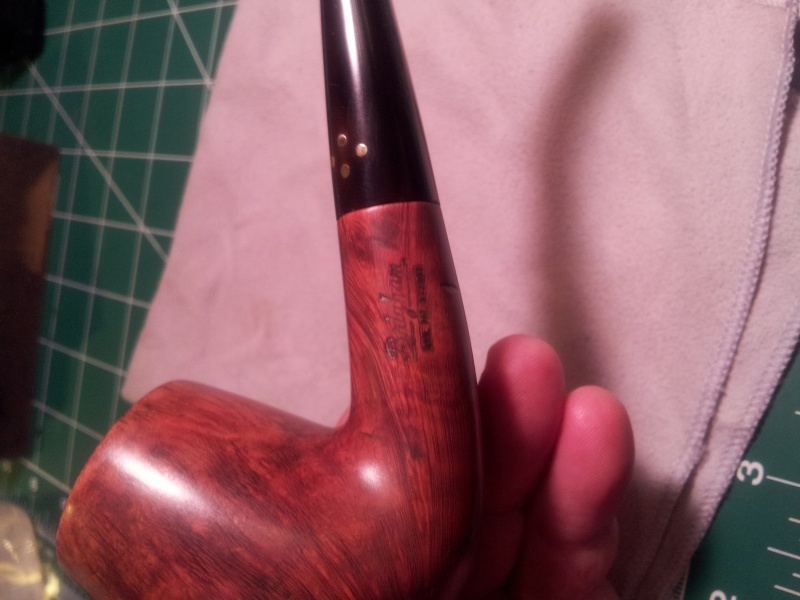 When it arrived, the bowl and stem were gritty and greasy with gunk, dirt and oxidation. 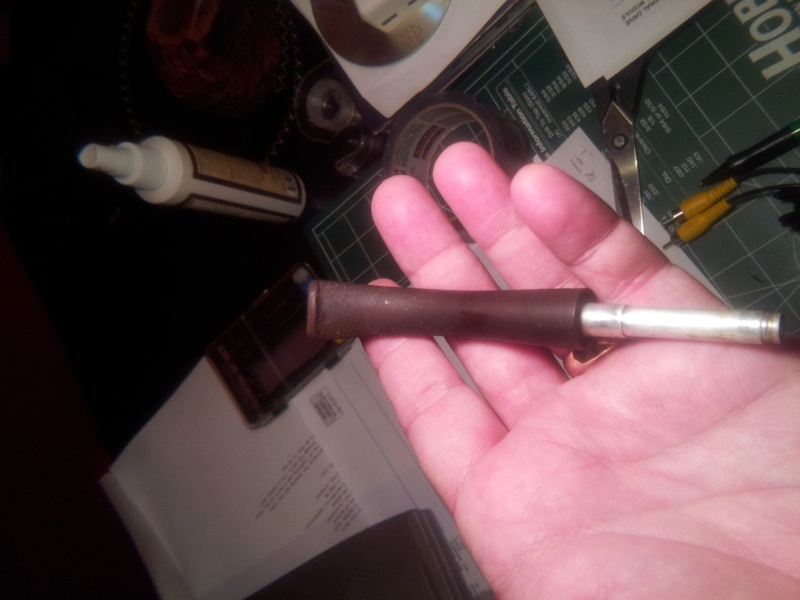 I forgot to take a “before” shot of the stummel, but here’s the stem as it was unboxed. As seems almost required for an estate Brigham, the old rock maple filter was left in place (sigh). Took a bit of tugging to get it out! I dropped the stummel into an alcohol bath, the stem into an Oxyclean bath and left them both to soak while I ran some errands. A few hours later, I came home and scrubbed down both halves of the pipe. 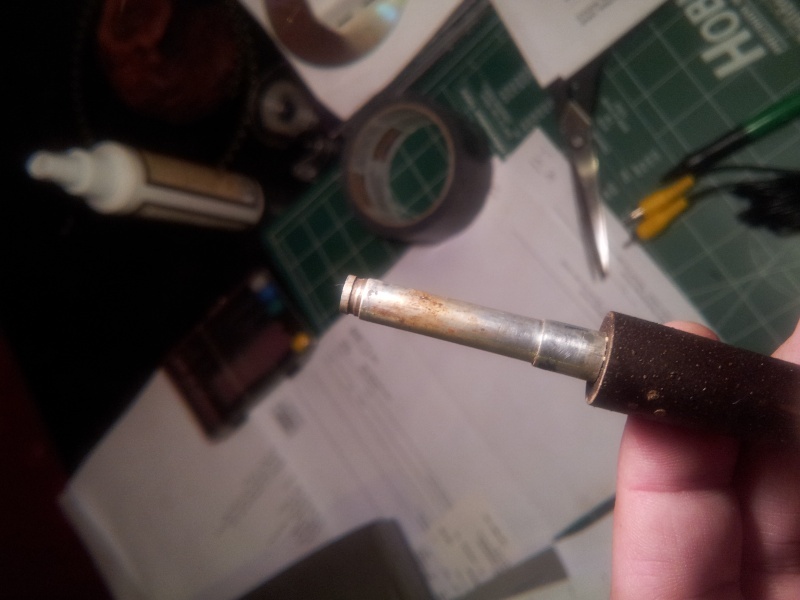 I didn’t take pictures while I scrubbed down the stummel and stem. Needless to say the respective baths did the trick! The stummel was in great shape under all the muck. 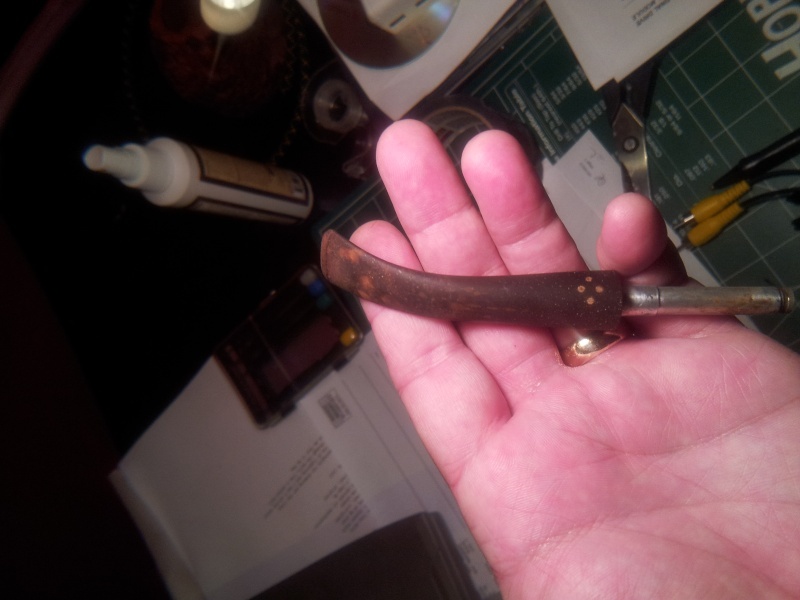 The stem took scrubbing with 0000 steel wool, then 400-2000 grit wet/dry sandpaper to get the oxidation off. 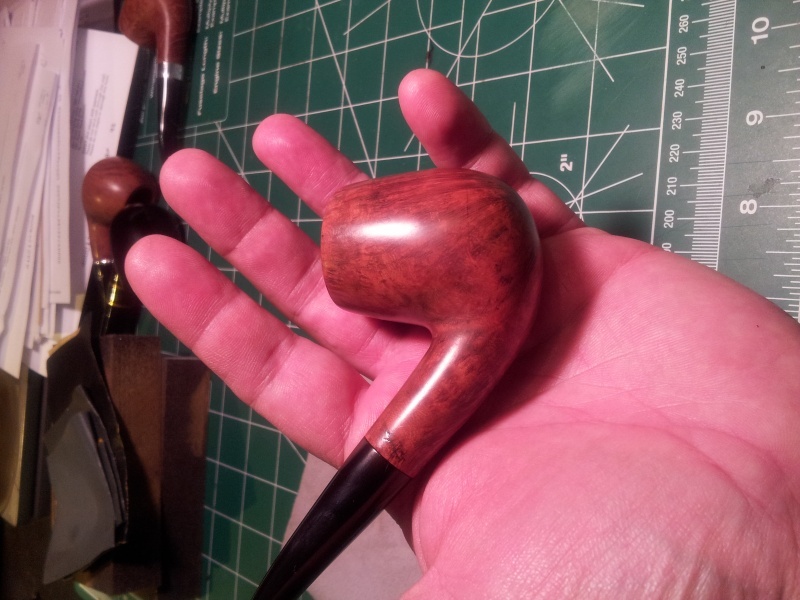 Here’s the pipe, cleaned but not finished. The alcohol bath removed the old finish, so I applied a 2-color stain. First a black Fieblings Leather Dye, which I sanded off until it remained only in the grain of the briar. Then I made a wash of about a 4:1 ratio using Fieblings dark brown dye. I applied several coats of the wash until I got the depth of color I was after. Then it was off to the buffer for a run of Red Tripoli followed by White Diamond and several coats of Carnauba wax. The finished pipe is ready to enjoy pride of place in my pipe rack and many more years of happy smoking! Thanks, Steve. 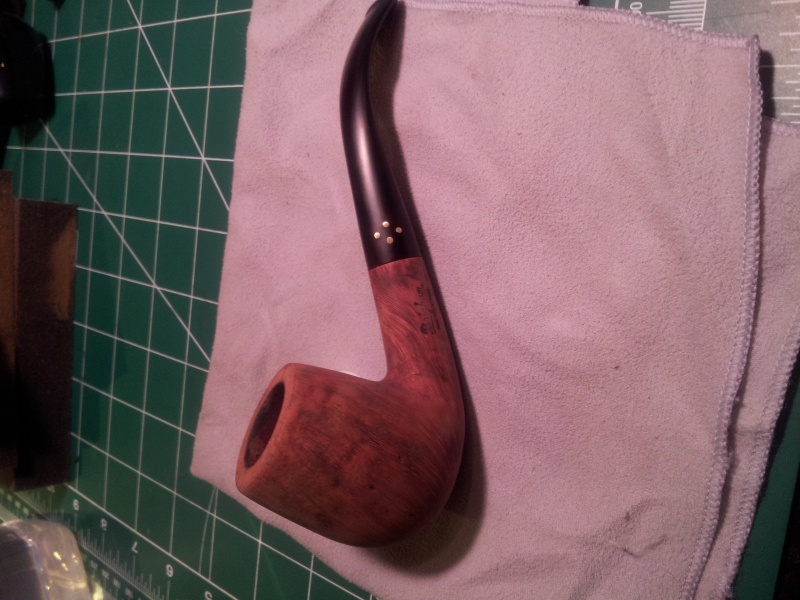 This Brigham was the first “good” pipe I refurbished to this extent. I’ve since expanded my rack of estate Brighams to 7 or 8 pipes. Love these! 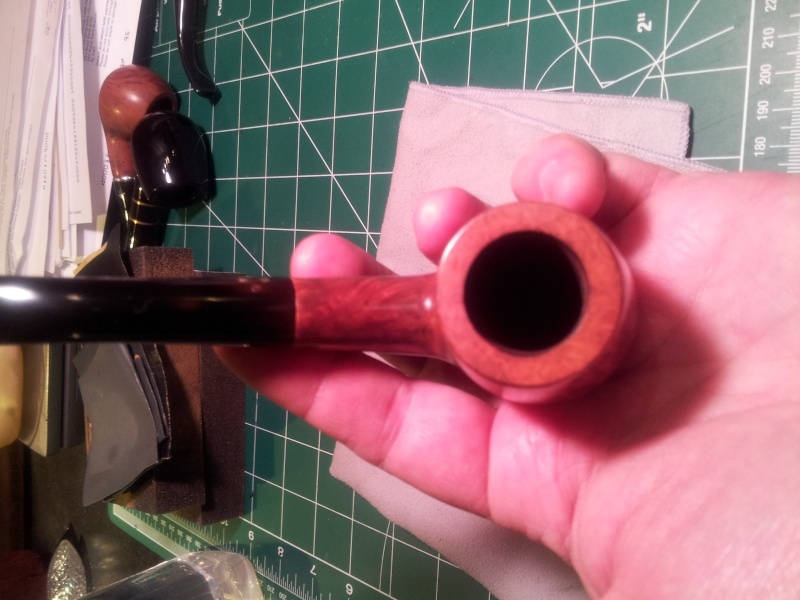 They are great pipes – especially the older ones with the metal tenon. I am not so sold on the ones with the plastic/Delrin tenon. Next Next post: King of the Brighams – Identifying a Presidential Series A Grade Freehand!